The WBAI is starting a regular fashion column and blog post series, and I for one couldn’t be happier. Why, you ask? Well, to put it simply, it’s a worthwhile topic. Professional fashion is an important consideration for any lawyer. While we may want to downplay it, the reality is that fashion choices and outward appearance have a major impact on the impressions we make on others – potential clients, potential colleagues, judges, opposing counsel, the list goes on. And, it’s true- the woman who appears put-together and sophisticated is more likely to impress than the woman who is slightly disheveled or wearing something a bit too casual for the occasion. Especially in a career as highly regarded as the law, looking the part is of critical importance. For those of us paying attention, the topic of female professional fashion has become somewhat controversial. First, there was the memo entitled “Presentation Tips for Women” distributed by a member of the Women’s Committee to its female associates at a multinational “biglaw” firm, followed by Los Angeles’s Loyola Law School externship director’s memo, discussing how not to dress. I’ll keep my personal opinions about the ideas expressed in these publications to myself for now, but I do agree with them on one, very minor point: people notice dress and dress matters. For women, in particular, the professional fashion game is dicier and less straightforward than it is for our male counterparts. The business and business casual uniforms do not exist for women in the same way they exist for men, and the myriad of options combined with the lack of resources makes it all the more difficult to make decisions as to what to wear, when, and how. It’s for this reason, and a few others, that the WBAI has decided to start this column. 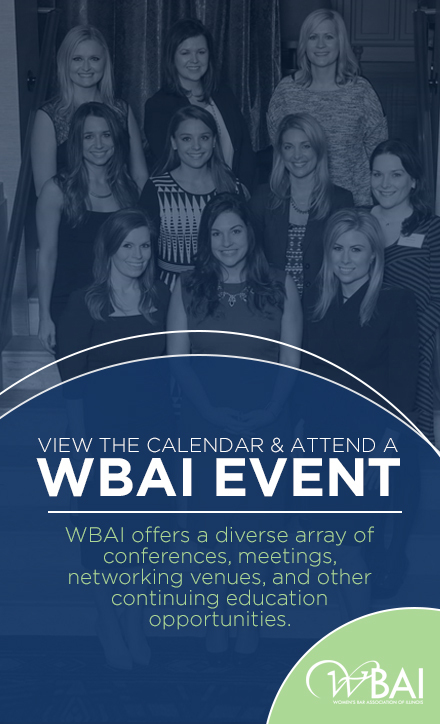 In each newsletter, as well as on the WBAI blog, one of our contributors will be addressing topics such as what to wear to an interview, what to wear for a professional headshot, the essential pieces every lawyer should have in her closet, how new lawyers can begin building a professional wardrobe, and so on. We welcome your thoughts, comments, and suggestions for future columns. If a subject strikes you, please email the editor of our fashion column, Kathryn Conway and she’ll do her best to loop it into an upcoming piece. Similarly, if there is a professional fashion-related topic that you want to write about, please contact her with your piece. This article originally appeared in the WBAI Winter 2015-2016 Newsletter. Kathryn “Kate” Conway is an attorney at the plaintiff’s personal injury law firm of Power Rogers & Smith. Kate is also a fashion enthusiast and co-founder of House of Marbury, a popular fashion and style blog for women lawyers.